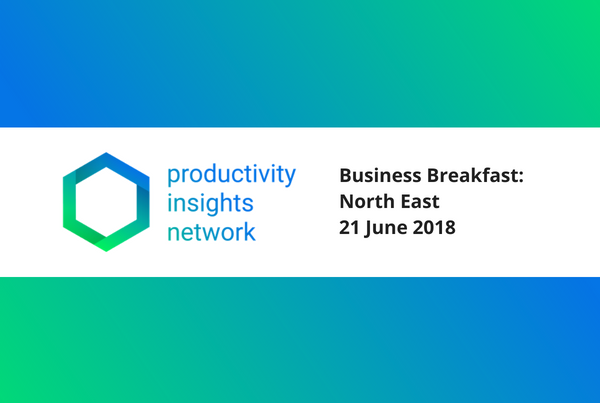 Richard Harris, Professor of Economics at Durham University’s Business School and a member of PIN’s core team, hosted local businesses and interest groups for a dialogue on the key issues that drive productivity in the North East on 21 June 2018, at the Copthorne Hotel in Newcastle. You can download the slides from the event here. Professor Harris introduced the Productivity Project Funding and explained how it is far from an academic exercise, but requires business engagement at its core. If you would like further information from the event, get in touch!